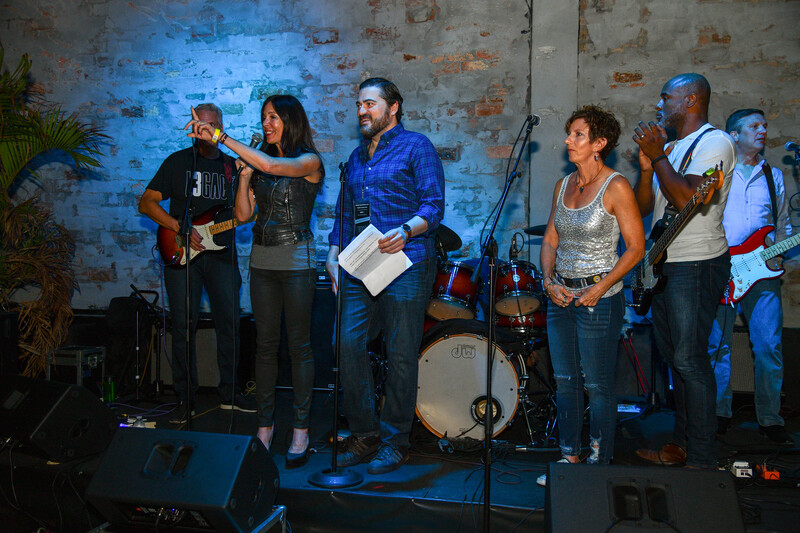 Ladis then introduced the evening’s Master of Ceremonies, Honorable Richard Suarez, recently retired, of the Third District Court of Appeal, to kick off the festivities with the first band, CRAZY TALK, featuring Dade Legal Aid’s very own Rock Star, Steven Paulson, an outstanding Domestic Violence attorney with the agency for over a decade! 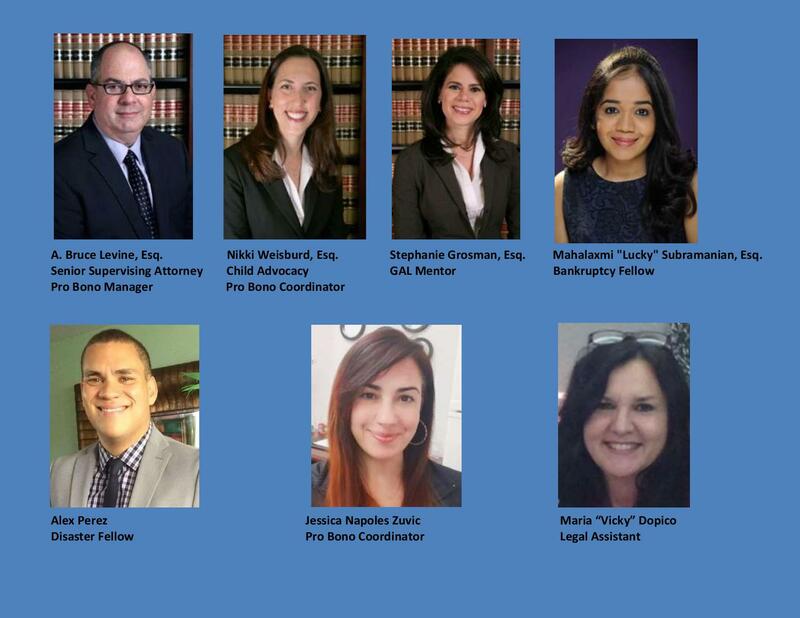 Dade Legal Aid, Miami’s premier provider of Domestic Violence services, has many staff attorneys who zealously represent thousands of survivors of domestic violence, dating violence and stalking each year from multiple posts across Miami-Dade County. 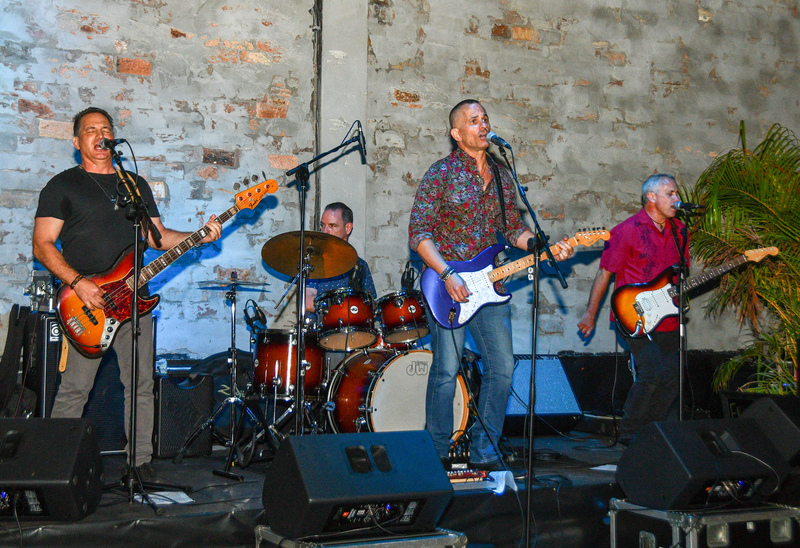 CRAZY TALK is a high energy rock and roll dance band that plays rock and dance favorites from the sixties through today. Their goal is for everyone to have a great time dancing and singing all night long. 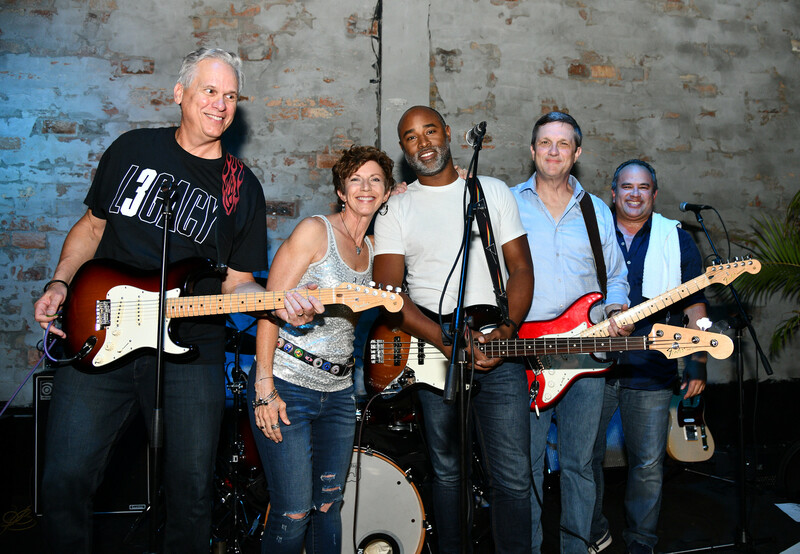 Their lineup includes Circuit Court Judge Spencer Multack on guitar, Steven Paulson, Dade Legal Aid Senior Attorney and Director of Litigation on drums and vocals, Bart Garratt formerly of Dade Legal Aid on keyboards, Vicky Cabrera on vocals, Mark Ochoa on bass, and Manny Sardina on Guitar. 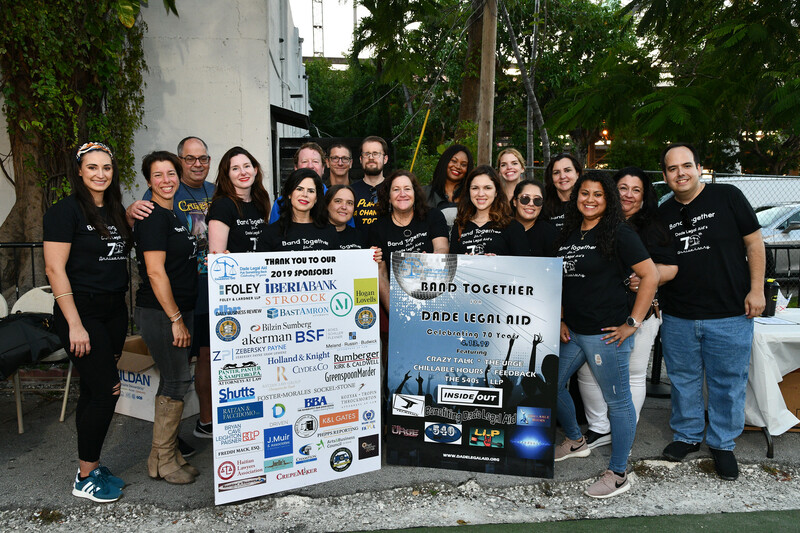 They certainly exceeded their goal at Band Together for Dade Legal Aid, as the crowd thoroughly enjoyed the opening performance!! Following Crazy Talk, Judge Yvonne Colodny, Administrative Judge, Eleventh Judicial Circuit Probate Division, recognized all of the dedicated attorneys and support staff of Dade Legal Aid, and mentioned the Guardianship Division, thanking the team for their assistance and dedication in helping nearly 1,000 low income families in need of Guardianship services each year. She also thanked all of the lawyers in Miami-Dade who help the Court not only in the Probate Division by “Putting Something Back” but for all of the attorneys who take cases in all areas in every division. Next, Judge Martin Zilber, Circuit Judge in the Criminal Division, encourged all guests to get involved in pro bono and take a case. He commented on Crazy Talk’s performance then introduced The Urge. The Host Committee was also recognized for being a part of tonight’s incredible event!! Every year, lawyers are given opportunities to provide pro bono legal services. Whether ones take a case, staffs a clinic, or helps Legal Aid in another way, their service is greatly appreciated. Those in attendance included: Monique D. Hayes, Mark Stein, Mitch Panter, Alvin and Hon. Mayra Lindsey, Steve and Laurie Davis, Zachariah Evangelista, Steve and Susan Eisenberg, Elisa Damico, David and Joelle Josefsberg, Nicole Grimal Helmstetter, Julie Harris Nelson, John Fulton, Jr., Bruce and Stacey Levine, Stu Weissman, Jude Faccidomo, Amber Kornreich, Dave Bixby, Josh Wintle, Rachel Gaspard, Mark Meland, David Axelman, Ariella Ederi, Austen Caraker, and many more folks who Keep on Putting Something Back!! . 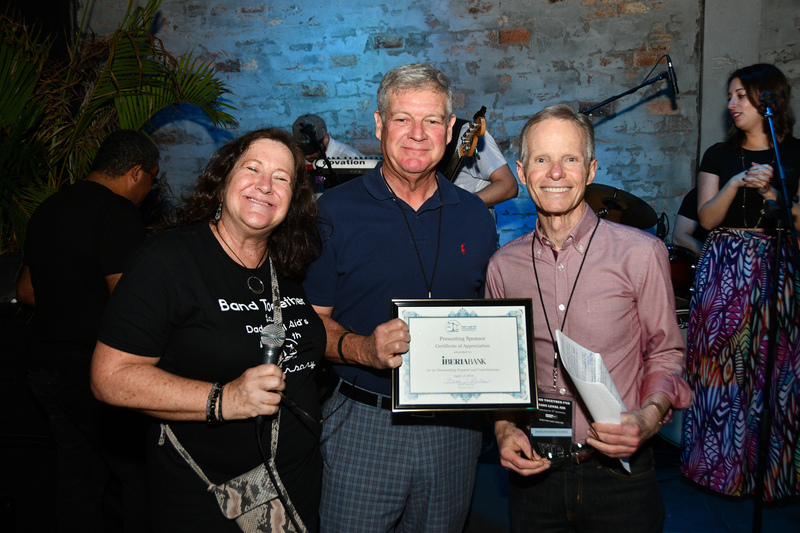 We then thanked our incredible PRESENTING SPONSORS, IBERIABANK represented by Bert De Armas who was invited to the stage to receive a plaque and be recognized for IBERIABANK’s support of the program. IBERIABANK co-created and has been involved in this event since its inception. 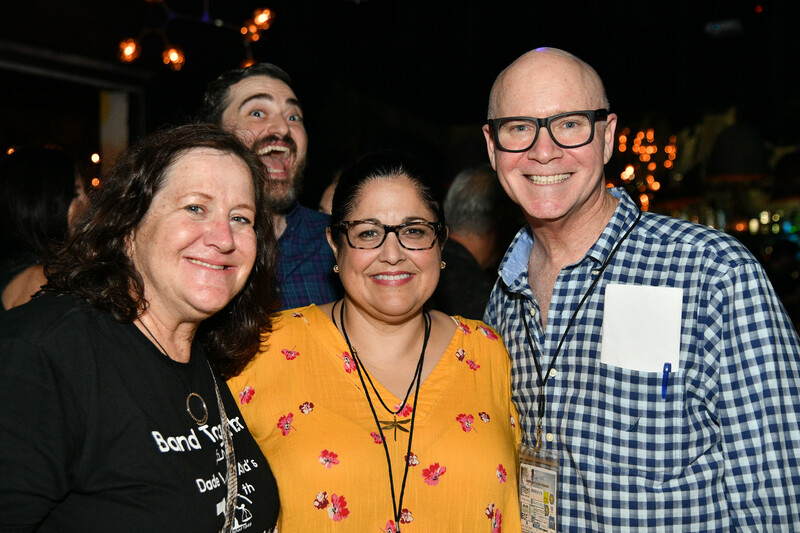 Other long time loyal sponsors were recognized including: AKERMAN LLP, BILZIN SUMBERG, BAENA PRICE & AXELROD, BAST AMRON LLP, BOIES SCHILLER FLEXNER, FOLEY & LARDNER, GREENSPOON MARDER, HOGAN LOVELLS US LLP, KL GATES, MCDERMOTT WILL & EMERY, PANTER PANTER & SAMPEDRO, RUMBERGER KIRK & CALDWELL, STROOK, ZEBERSKY PAYNE SHAW LEWENZ & FREDDIE MACK. 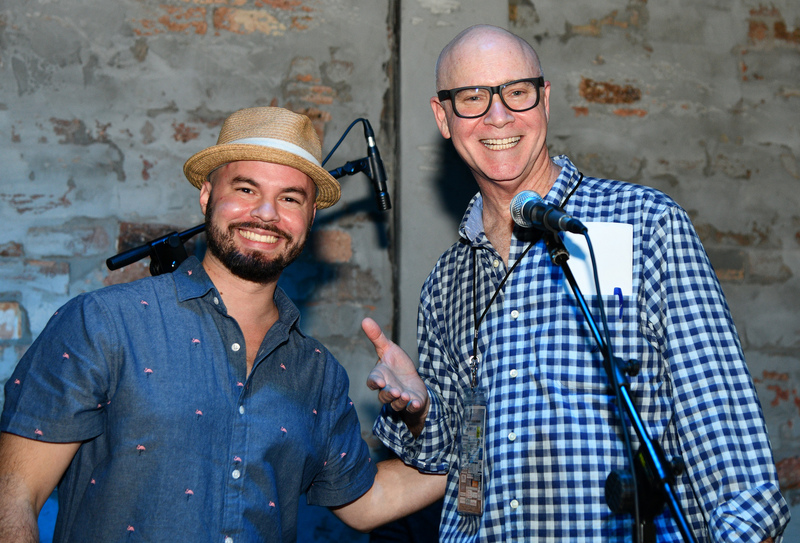 Next, Judge Suarez introduced the third band of the evening, Chillable Hours. 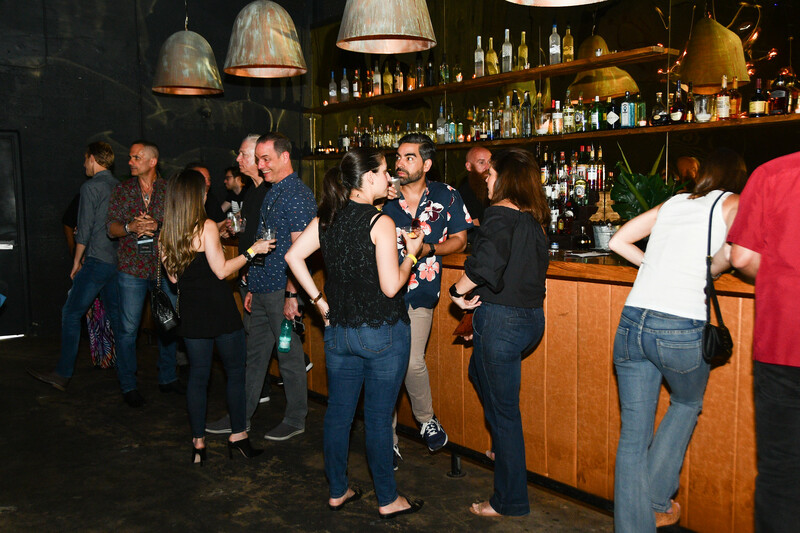 CHILLABLE HOURS consists of 100% lawyers – all University of Miami Law Alumni. CHILLABLE HOURS formed three years ago and features Jeff Kucera, a Partner with. 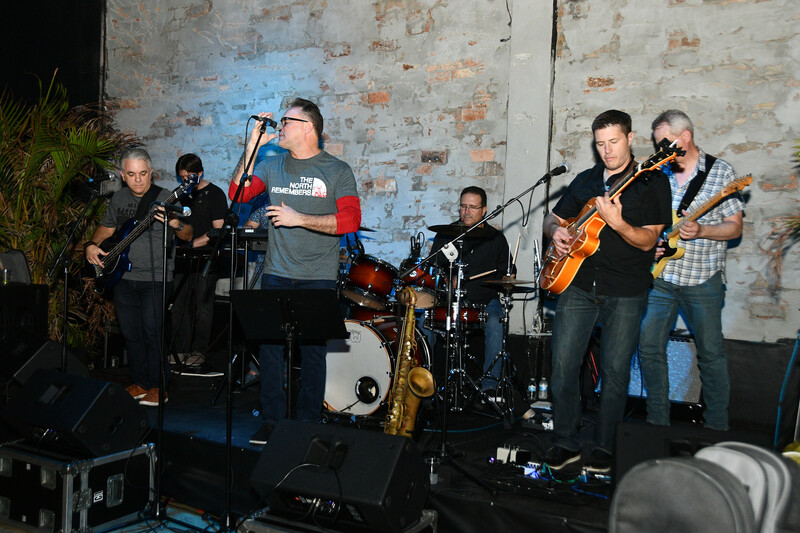 K&L Gates on Guitar, Joe Wasserkrug, an Associate with McDermott Will & Emery on Bass, Jordan Shaw, a Partner with Zebersky Payne Shaw and Lewenz on Drums, Daniel Silver, an Associate with Gautier & Hasty, LLP in the Gables, and Freddi Mack, Esq., on Vocals. 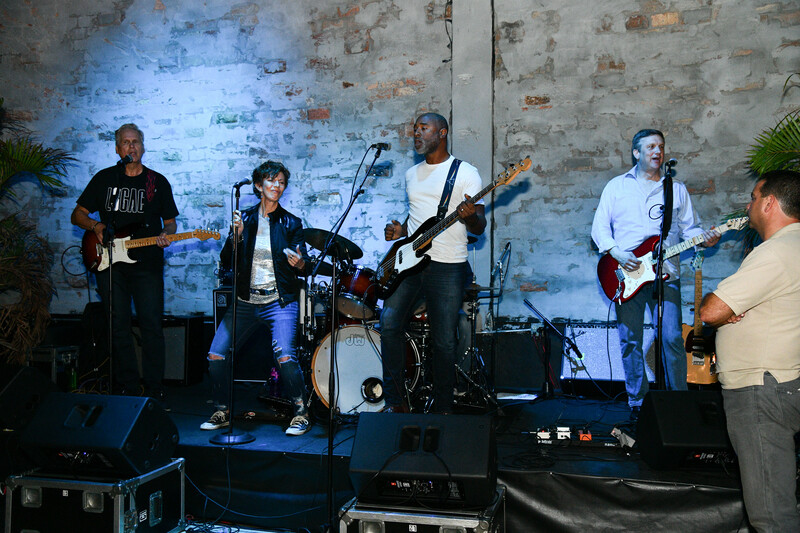 When these talented lawyers and musicians aren’t preparing for their clients, court and cases, they’re rocking and rehearsing in hopes of making it big on the stage and touring worldwide!! 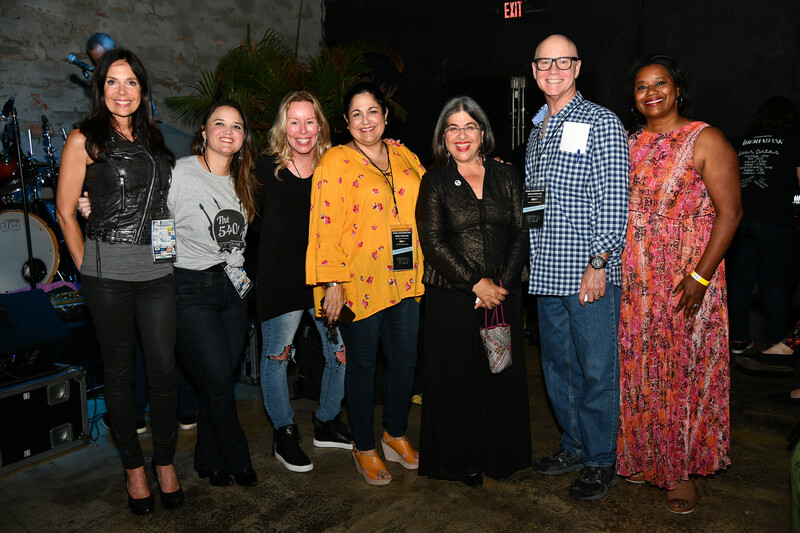 Many distinguished judges, guests and dignitaries in attendance in support of Dade Legal Aid’s celebration were also recognized for their leadership in the community and support for Dade Legal Aid: COMMISIONER DANIELLA LEVINE CAVA, FLORIDA BAR PRESIDENT ELECT DORI FOSTER MORALES, CITY OF MIAMI BEACH MANAGER JIMMY MORALES, CITY OF KEY BISCAYNE FORMER MAYOR MAYRA LINDSEY, FLORIDA BAR BOARD OF GOVERNOR STEVE DAVIS, DADE COUNTY BAR ASSOCIATION PRESIDENT STEPHANIE CARMAN, WILKIE D. FERGUSON, JR. BAR ASSN. PRESIDENT MONIQUE HAYES, MIAMI-DADE FAWL PRESIDENT ELECT AND LEGAL AID ADVISORY BOARD MEMBER ELISA DAMICO, AND OTHER DIGNITARIES. Judge Carrol Kelly, Administrative Judge in the Domestic Violence Division and Judge William Altfield introduced and recognized each of Dade Legal Aid’s attorneys from the various departments: FAMILY LAW, DOMESTIC VIOLENCE, PRO BONO, CHILD ADVOCACY, HOUSING AND GUARDIANSHIP. They discussed the importance of Dade Legal Aid’s work and how the agency saves countless lives of survivors, children and families in need. They introduced the fourth band to perform for the event, Feedback. FEEDBACK Emerging from the Warehouse District of Hialeah in the early 1970’s, Feedback achieved local stardom as a heavy metal band and eventually opened for such luminaries as Black Sabbath and Judas Priest before selling out in the 1980’s and writing a string of chart-topping power ballads such as “Oye, Chonga.” As the popularity of 80’s hair metal declined, Feedback reinvented itself as a 90’s rock cover band. 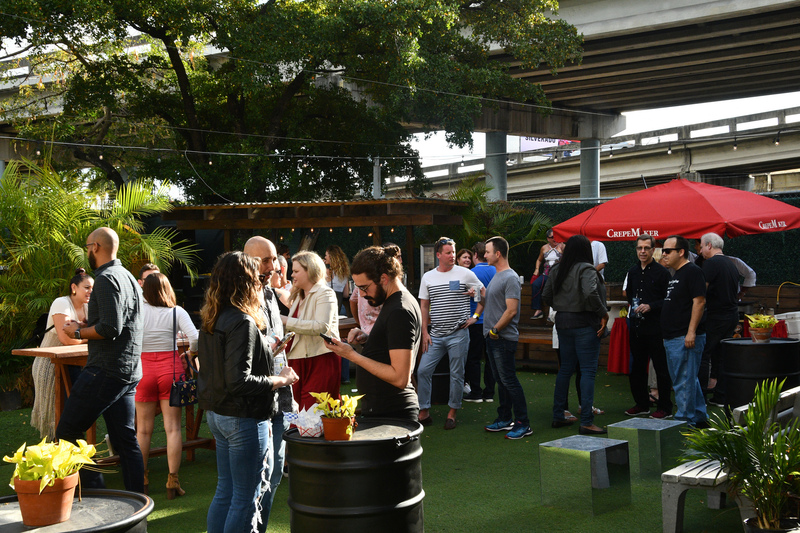 Nowadays, Feedback can be found touring the bars of Brickell, Coral Gables, and Wynwood, playing for bar tabs and spare change. Feedback’s guitarist and founding member practices law at Bryan Cave LLP under the name “David Axelman.” Feedback’s lineup is rounded out by the soaring lead vocals of Diego Espinosa, the pulsating bass riffs of Nick Cabrera, and the thundering drums of Rocky Ricardo. 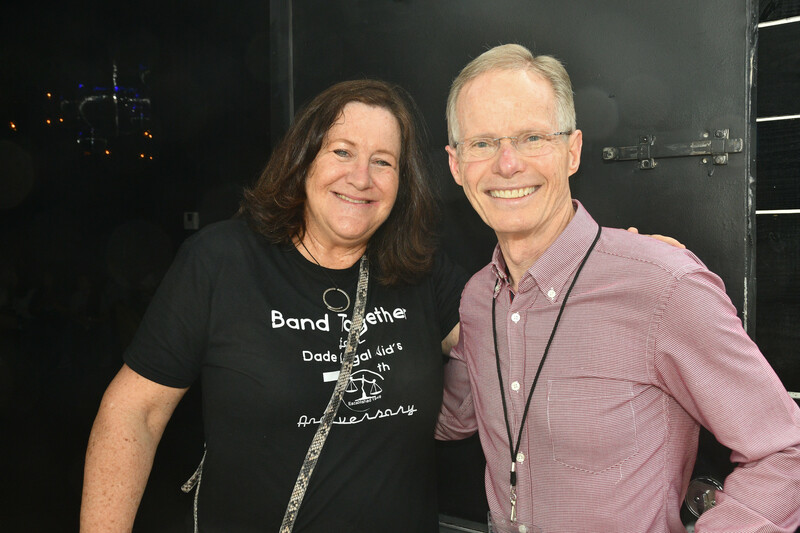 Chief Judge Bertila Soto of the Eleventh Judicial Circuit and Judge Gina Beovides, Associate Administrative Judge, County Court, welcomed guests and introduced the next band to perform, The 540s. Chief Judge Soto and Judge Beovides discussed what a difference the Legal Aid and Put Something Back Staff Attorneys and Pro bono attorneys make in our community. The judiciary is extremely grateful to the hard working attorneys who help indigent clients every day and help provide access to justice to the neediest residents. Each year, Dade Legal Aid serves over 5,000 clients impacting tens of thousands of individuals in all areas of law, mainly in the areas of Family Law and Domestic Violence for low income individuals. Judge Beovides, a former Dade Legal Aid Domestic Violence Staff attorney, recognized all of her former colleagues for all of the hard work they do and recognized each staff member in attendance. THE 540s made their third appearance in Dade Legal Aid’s event. The 540s features Carlos H. Gamez, Assistant City Attorney with the City of Miami, on Lead Vocals and Saxophone, who is the husband of Annie Gamez; Manuel Mesa, Principal at Mesa & Pepin LLC, on Keyboards and Background Vocals; Mike Mesa on Bass and Background Vocals; Rick Santos, Product Manager at DRIVEN/ONE DISCOVERY SOFTWARE SOLUTIONS (one of the sponsors) on Lead Guitar and Background Vocals; Alejandro Herrera, Drums; and Special Guest Appearance by Christopher Green, Senior Assistant City Attorney at City of Miami, Solo Guitar. LLP The verdict is in. Ready to rock? 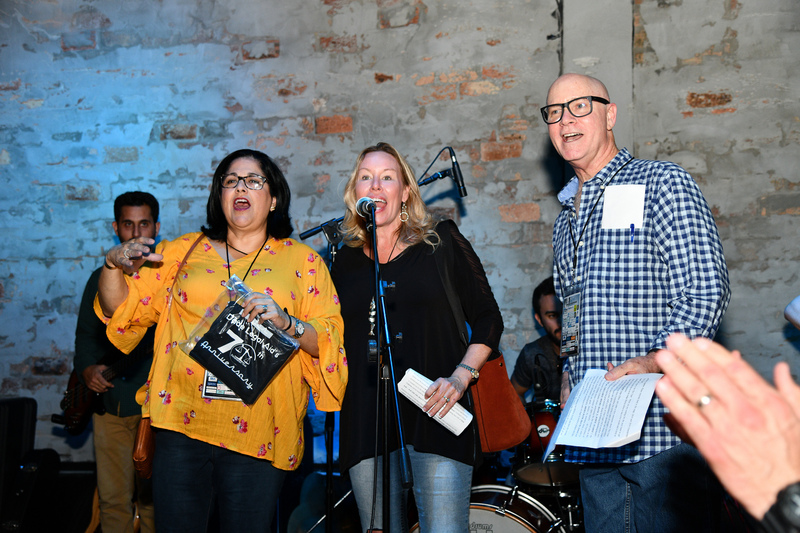 LLP, the sixth and final band for the evening, was introduced by Judge Alexander Bokor and Judge Vivianne Del Rio, two Circuit Court Judges who expressed extreme gratitude for being there and stated that pro bono assistance is greatly appreciated by the Court. 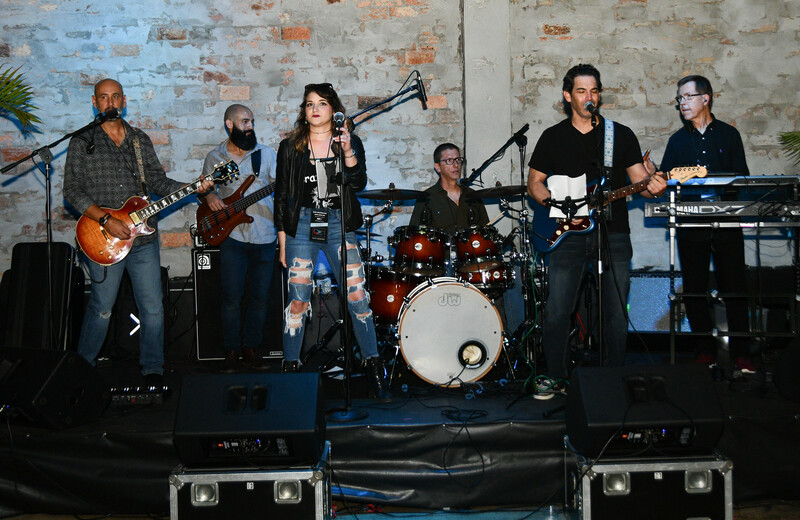 LLP was established in 2015 and is one of the most requested local bands in South Florida. They were started by John E. Meagher, Esq. and Frank A. Zacharl, Esq., two Partners with Shutts & Bowen LLP and quickly became the firm’s house band. 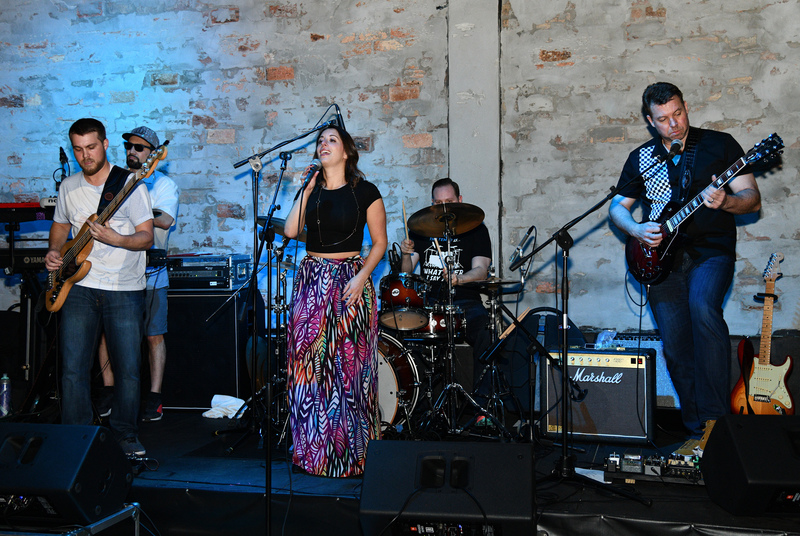 In addition to Meagher, Guitar and Vocals and Zacherl, Guitar and Vocals, the band is rounded out with Joanne Meagher, Vocals, Jose Godur, Drums, and Damien Reynolds, Bass Guitar and Vocals. All of their members come from trained, musical backgrounds and have extensive experience with live performances. 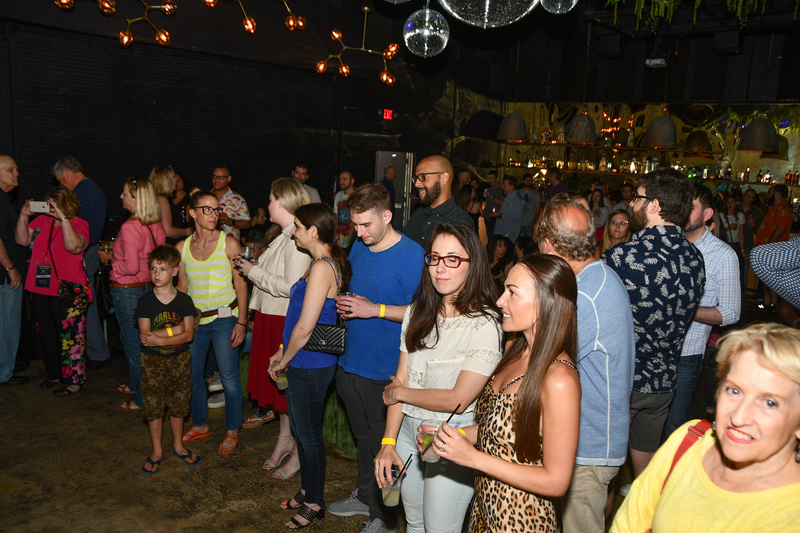 With the formation of LLP and its several accolades in a small period of time, this band is only gefting warmed up in the South Florida music scene. 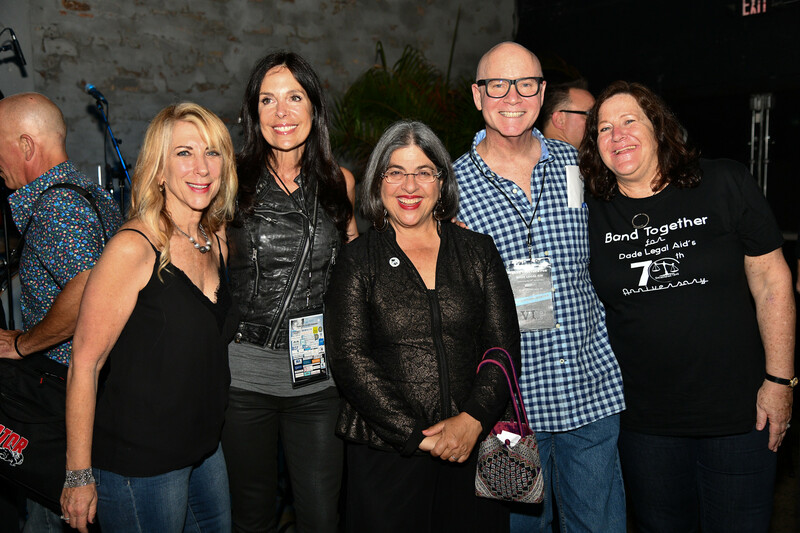 LLP won the 2015 & 2017 Broward County United Way — Rock United Battle of the Bands Benefit Concert. 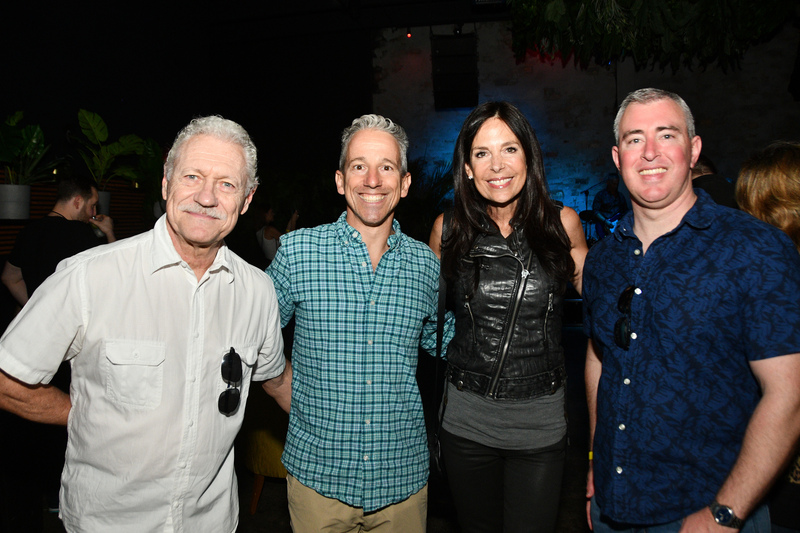 In addition, LLP performs for a wide range of charitable events and we are ecstatic that they are joining us with their first appearance at Dade Legal Aid’s annual event.